Since I just spent the last half hour stuffing my diapers, I thought now would be a good time to write about my cloth diaper stash. 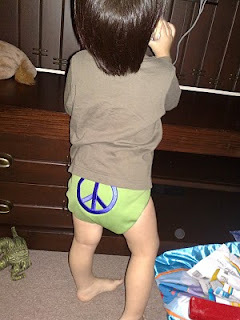 If you haven't read it already, here is a post I made about the reasons I use cloth diapers. So now that I'm done with justifying my embarrassingly huge diaper stash, lets get onto the list, shall we? There's no real order to this list, but generally the ones on top are the most frequently used (which is why I can recall their brands first). Also, the quantities, especially the larger numbers, are just an estimate, because I haven't really kept count. Most of the time I use the pockets. Once in a while, when I've run out of pockets (yes, its possible when you have poop-making machines who go several times a day like mine), I use the AIOs/AI2s. My next choice after that is fitteds + covers. We use fitteds and knitted wool pants (often called 'longies' in the cloth-diapering world) for Afraz at night, which is AMAZING because it doesn't leak (I will definitely write about that one day). 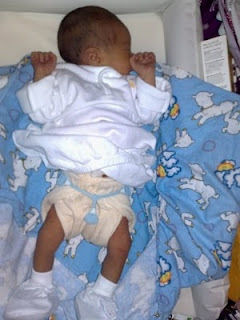 The prefolds and flats were used mostly during Afraz' first month because he couldn't yet fit into any other diapers. That IS quite a stash! Haha. I'm refraining from buying any more CDs now, at least until I've tried them out and see how i'm getting used to them. Preloved CD hunting is so addictive! :-P!!! Oh, yes! I've purchased some treasures on pre-loved CD forums! I'm really looking forward to hearing your experience when your boy is born :D Make sure to blog about it k.